…The diagonal stripe which the overhanded Friendship Knot creates remains the cornerstone of many designs. The trick to creating complex patterns is manipulating the zig and zag of the striping in order to develop intricate designs. Through this simple method of manipulation, an almost endless array of patterns can be created . . . Read More.
. . . constructed using 8 strands (2 colors with 4 strands each), which are initially split into 2 groups and knotted into double helix spirals using the Half Hitch Knot method. The lacy main body is made using a series of alternating Square Knots, which are punctuated by 3-strand-wide Josephine Knots. The necklace is woven directly through the bail of the turquoise nugget, and is accented by . . . Read More. 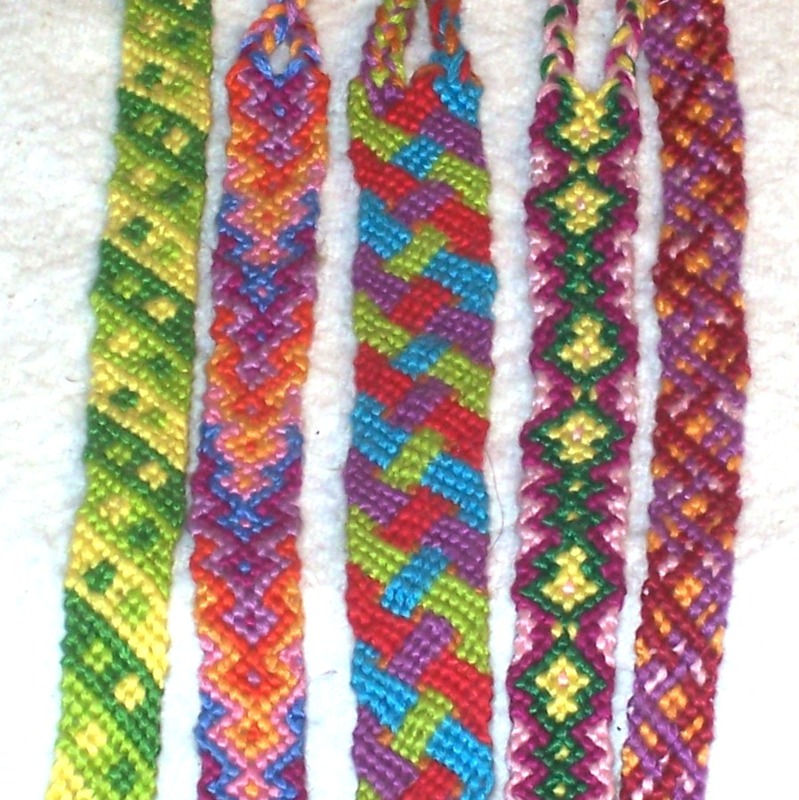 These lovely hemp bracelets are dedicated to the beginning of summer, and are great for people of all ages. Each bracelet is constructed through a series of alternating square knots, punctuated by wooden vintage-style round beads. The neutral color scheme of the bracelet, accented by the red and black bead patterns, truly make this a go-to piece for any summer outfit or occasion. . . Read More.